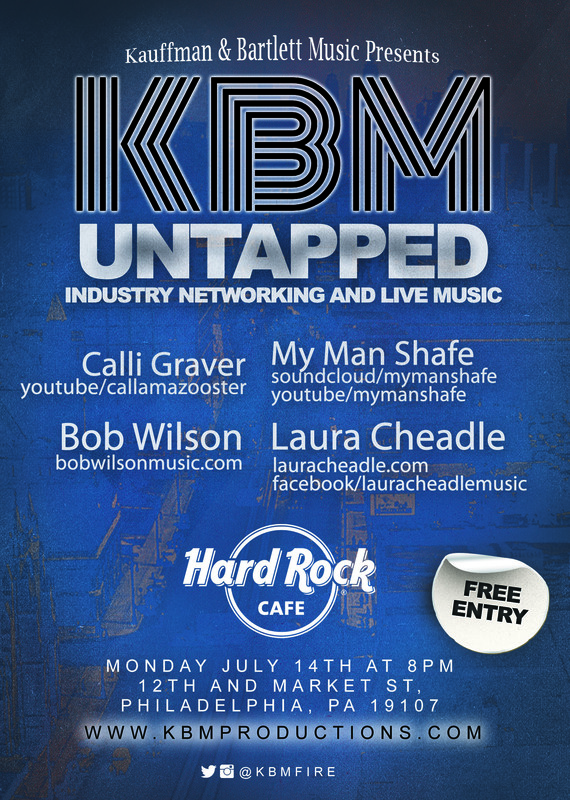 Kauffman & Bartlett Music Presents..
KBM UNTAPPED Industry networking and LIVE music at Hard Rock Cafe (Philly) 12th and Market Streets. Founded by Tony Kauffman and Charlie Bartlett, KBM hosts a bi-weekly showcase of “Philly Talent” in a networking environment. Anyone working in the industry, or who is interested in working in the music industry should come out and network.